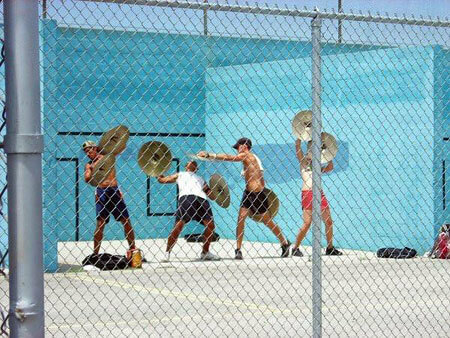 A drum corps fan submitted this photo and caption. This is a photo of Southwind's cymbal ensemble practicing hard in Pasadena, Calif. the day before their performance at the World Championship Individual & Ensemble competition. From left to right: Josh, Jerry, Sean and Savannah. Their hard work paid off – they placed second.